Collective Soul reached its full musical promise and commercial success with their 1995 self-titled second album, sometimes referred to as their “blue album”. 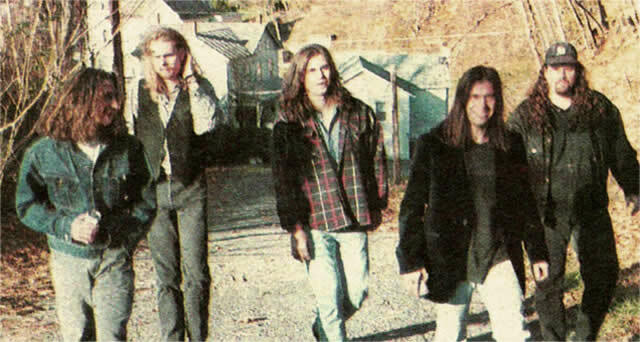 Here, the rock quintet from Georgia struck a nice blend of 1980s-style hard rock and early 1990s-style grunge rock to forge a distinctive sound which resonated well with rock fans in the mid nineties. 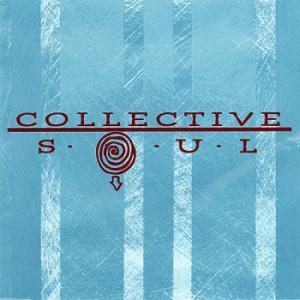 Although far from ground breaking in originality and compositional quality, Collective Soul is solid from end to end and may be the most interesting overall release of 1995, hence making it our Album of the Year. 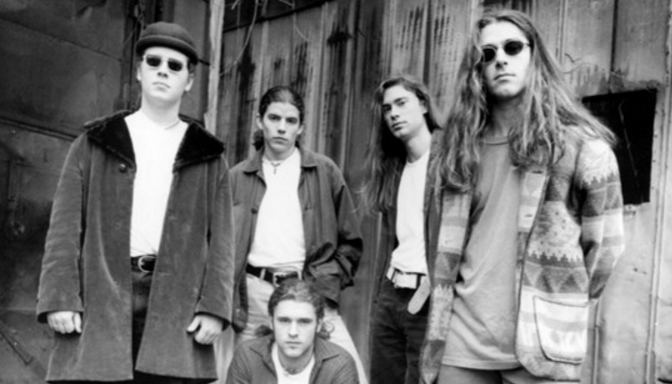 Although it was quite successful, group leader Ed Roland did not feel that Collective Soul’s 1993 debut album, Hints, Allegations, and Things Left Unsaid rose above the level of a professional demo. He even went so far as to refer to Collective Soul as the group’s “first record, flat out”. Still, with the phenomenal success of the song “Shine”, Roland put together a proper band, starting with fellow guitarists Ross Childress and Ed’s younger brother Dean Roland. The debut album eventually went double-platinum and the group immediately landed on major tours through 1994, including an appearance at the Woodstock ’94 Festival. Later in the year, the group headed to Miami to record Collective Soul along with co-producer Matt Serletic. Although Ed Roland remained the predominant songwriter, with fifteen of his tracks recorded in the studio, Childress also contributed some help with a few compositions. Due to the group’s rising popularity and demand for live performances, the album was recorded, mixed and mastered rather quickly, but still achieved optimal sonic results. The album starts with the distant funky rap of “Simple” before the full song kicks in and remains strong and upbeat throughout, setting up the simple yet effective tone of the album. The second track falls into the same type of approach as the opener but with much more melody and other sonic intricacies. This untitled track is kind of unique (albeit a bit unprofessional), falling second in the running order, as opposed to the typical “hidden track” at the end of many 1990s albums. 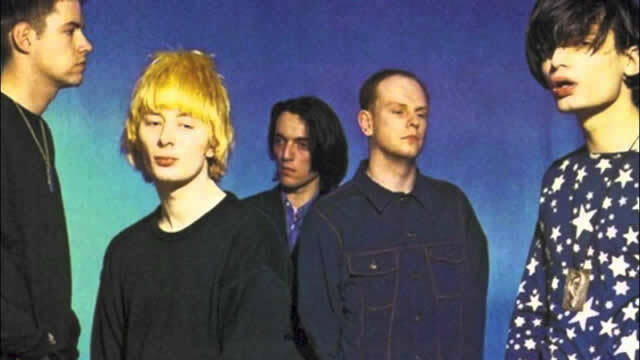 The most grunge-influenced track with its fantastic fits and starts, “December” brilliantly displays the band’s ability to write songs that are at once totally unique but radio friendly. The intro and verse guitar is finger-picked and accompanied by deeply harmonized vocals through the verses. Drummer Shane Evans provides some hand percussion in the second verse and well timed lead-ins before the choruses. The song was another hit for the group, peaking in the Top 20 on the pop charts. “Where the River Flows” follows with a heavy rock riff and gaited drums throughout, leading to “Gel”, another rock gem from this album. 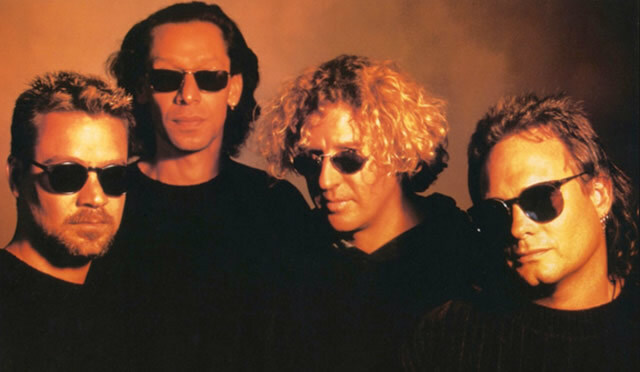 On many levels the musical heart of Collective Soul, “Gel” opens with a stripped down section that perfectly sets up the energy of the song proper. Later comes a good bluesy guitar by Childress with riff rudiments in the mid-section, while the brief, simple but highly effective lyric which gets the song’s point across in a brevity to match its title. 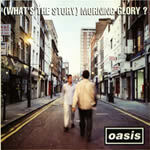 The latter part of the album contains some lesser known but equally fine tracks to nicely round off this album. “She Gathers Rain” is a bit over the top with interplay between the opening guitar riff and strong drum beat but, as song settles into a groove, it is quite entertaining. “When the Water Falls” features nice bass work by Will Turpin, who provides the glue between the two complementing guitar riffs in the intro, with a later sweet musical arrangement and acoustic added to the mix along with complex lead and backing vocal arrangements. “Collection of Goods” features nice sonic effects throughout with a crisp guitar riff, worthy of earliest-era Rush, while “Bleed” moves towards more mechanical passages of guitar textures, with each section in turn, like passing through an assembly line. 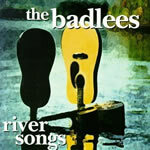 The album concludes with “Reunion”, a song which fully shows off the group’s Southern roots. This fine closer includes soulful vocals by Roland as well as a chorus of Gospel-like backing vocalists and a slide acoustic guitar to accentuate this simple but excellent song which concludes this simple but excellent album. Collective Soul became the band’s highest selling album and spent well over a year on the Billboard album charts. 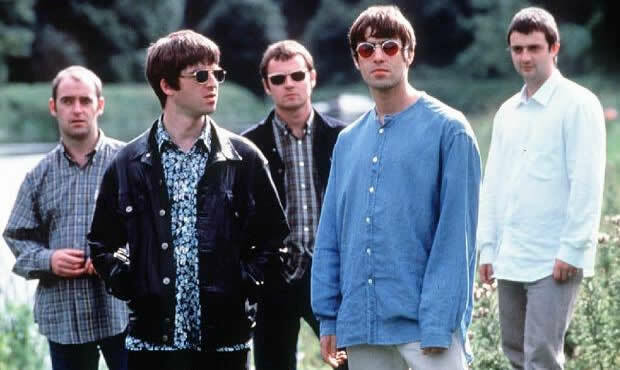 Following its release, the group spent little free time, embarking on an extended national tour the next day, followed by an immediate commencement of writing and recording material for their next album. There is no doubt that the decade-long Sammy Hagar experiment had run its course by the time Van Halen had gotten to their tenth studio album (the fourth with Hagar), Balance. Released in early 1995, this album did continue their commercial streak by giving the “Van Hagar” lineup a perfect 4-for-4 when it comes to #1 albums in the USA. However, while still interesting and entertaining, this album was the less cohesive than any of the group’s previous efforts, probably due to the internal fighting within the band. 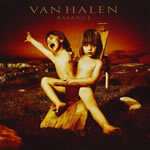 Following the late eighties success of 5150 and OU812, Van Halen started the 1990s by producing and releasing the album, For Unlawful Carnal Knowledge, which was marketed as the “return” to Van Halen’s hard rock roots. This was particularly due to Eddie Van Halen‘s abandonment of synth sounds in favor of guitar riff driven or, at the very least, hard rock piano tunes. In 1992, the album won a Grammy Award for Best Hard Rock Performance and the band continued to enjoy top-level success in the rock world. However, with the emergence of grunge and alternative music, the rock world was drastically changing throughout the early nineties. 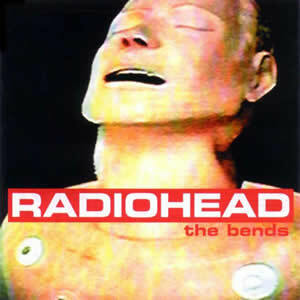 In 1994, the band got together at Eddie’s 5150 Studios with producer Bruce Fairbairn, dedicating eight hour days to write, rehearse, and record this new album. However, this dedication was less cohesive as Hagar and bassist Michael Anthony were less able to dedicate as much time as Eddie and his brother, drummer Alex Van Halen. Nevertheless, Balance was one of the quickest records the group had made to that date and Alex cites it as one of his favorites. An apocalyptic chorus of polyphonic chants by The Monks of Gyuto Tantric University starts off the opener “The Seventh Seal”, before the song breaks into a steady and standard rock beat and riff. 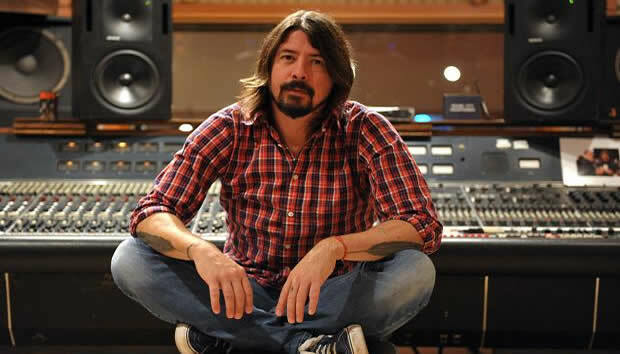 The mystical overtones of this track were inspired by Eddie Van Halen’s newfound sobriety and his first attempt in twenty years to write songs without the aid of alcohol. “Can’t Stop Lovin’ You” was inspired by Hagar’s relationship with his wife and features bright guitars and a moderate, pleasant and accessible approach with thumping rhythms and slight harmonies in the background. The song was commissioned by Fairbairn who wanted a more pop-oriented song, and this was successful as it was the only single from this album to reach the Top 40. “Don’t Tell Me (What Love Can Do)” is another accessible pop song but with some extra-intensive lead vocals by Hagar and the first real traditional guitar lead by Eddie Van Halen. The lead single from Balance released in late 1994, the song reached #1 on the Billboard Album Rock Tracks chart. With its overt promotion of marijuana and prostitution, “Amsterdam” was a bit controversial in 1995. Musically, Eddie’s verse riff and slow-walk interludes are the highlights in an otherwise clunky arrangement. “Big Fat Money” is a frantic rockabilly song with an energy that harkens back all the way to their debut album, 17 years earlier. A bizarre but entertaining hyper-jazz guitar lead accompanied by odd rhythmic rudiments by Michael Anthony and Alex Van Halen makes this a unique track for Van Halen. A plethora of old, out-of-tune orchestral instruments fashion the avant garde instrumental “Strung Out”, with the plucking and sawing effects acting as an intro to the ballad “Not Enough”. This final pop-oriented track features a grand piano intro in a somber, minor key before building into a full rock arrangement to make it a pleasant overall power ballad. “Aftershock” features a cool intro by Eddie Van Halen and, during the song proper, Anthony’s rapid bass pattern gives it a definite edge which elevates this track above standard rock fare. 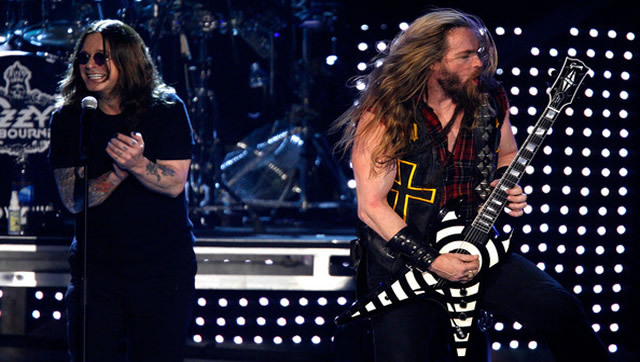 The album winds down strongly with four unique tracks, starting with back-to-back instrumentals. “Doin’ Time” features a percussive orchestra by Alex Van Halen, perhaps meant to symbolize the “aftershock”. The second part of this piece has an interesting Caribbean flavor and leads in to “Baluchitherium”, which seems more like filler to extend the album beyond traditional album length (< 45 minutes) to CD length (> 50 minutes). “Take Me Back (Déjà Vu)” starts as an excellent acoustic, down-home ballad with excellent vocal melodies by Hagar. It eventually kicks in to being another standard pop/rocker but does feature a slow, bluesy, and moody guitar lead and an equally impressive closing section where Eddie craftily doubles acoustic and electric guitars. The closing track “Feelin'” features a dark, solo electric intro by Eddie Van Halen. Later comes a very rich backing vocal chorus and an intense crescendo section before Eddie’s quiet guitar phrase gently puts the song and the album to rest. With Balance, Van Halen successfully took the honor of being the first act to debut at #1 in 1995 and the album eventually went triple platinum in sales. However, tensions between Hagar and the Van Halen brothers boiled over in 1996 while planning a career-long Greatest Hits album, which led not only to Hagar’s permanent departure but also to a very short (initial) reunion with original vocalist David Lee Roth. Van Halen’s third lead singer, Gary Cherone, would span the group’s next release, Van Halen III in 1998. Jagged Little Pill is one of the most indelible albums to emerge from the decade of the 1990s. This third overall studio release by Canadian Alanis Morissette was her international breakthrough and had great success in scores of countries around the globe. 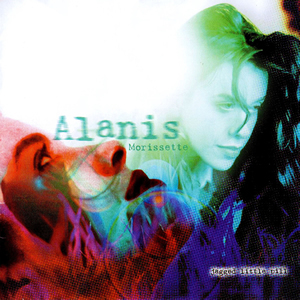 Co-written by producer Glen Ballard, the soul baring lyrics and grunge-influenced rock songs on this album were a radical departure from those on Morissette’s initial pair of dance/pop oriented albums which were recorded while she was still in her mid-teens. The debut album Alanis and follow-up Now Is the Time, released in 1991 and 1992 respectively, were each minor successes within Canada. After graduating from high school, Morissette moved from her hometown of Ottawa to Toronto in order to work with more accomplished songwriters for a third album release. However, she had little success there and, at the suggestion of her publisher, she moved on to Los Angeles to meet with Ballard. The two had a strong musical connection and instantly began experimenting and composing new songs. Starting in 1994, Ballard and Morissette worked on extensive demo recording sessions at Ballard’s home studio in the San Fernando Valley which often lasted up to sixteen hours. The tracks were deliberating constructed with minimal overdubbing in order to capture the raw emotion of the original tracks. Even after the production moved on to a proper recording studio, Morisette’s original demo vocals from the original sessions were retained to maintain that original feel, with polished commercial appeal relegated to a secondary role. In fact, the team expected only moderate success from this album, initially hoping to sell enough copies for Morissette to make a proper pop/rock follow-up. 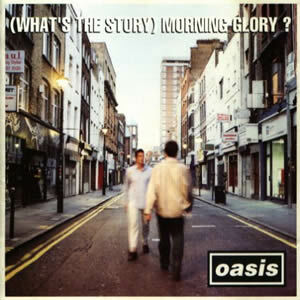 The album’s opening track meanders in with harmonica and funky guitar before the signature beat kicks in for the song proper of “All I Really Want”. The verses are delivered in a vocal style halfway between talking and singing (but not quite rapping), while the chorus section contains odd but entertaining harmonies. “You Oughta Know” was the song which sparked the eventual popular inferno of Jagged Little Pill and it features some rapid vocal style changes which build the intensity until the climatic choruses. Lyrically, this track is a scathing, slightly profane indictment of a former love interest, with the vocal delivery being just as important as the words. “You Oughta Know” also features smooth bass throughout by guest Flea, who performed on the track along with his Red Hot Chili Peppers band mate Dave Navarro on guitar. Moving on, “Perfect” starts as an acoustic ballad in seventies-singer-songwriter mode but elevates with a good mixture of guitars, bass, and natural drums as the song kicks in, while the lyrics address the pressures of high expectations on children. “Hand in My Pocket” works as an anthemic dissertation on conflicting emotions and pivot points in young adulthood as portrayed by a series of paired contradictions. It is musically pleasant with subtle but strong rock guitars, bouncy bass, dry but punctual drum programming, a slight harmonica lead and an intensifying organ through later stages of song. “Right Through You” starts as strummed acoustic but quickly morphs to a richer rock arrangement, while the music is pleasant throughout. This is followed by the four songs which make up the climatic heart of the album. “Forgiven” may be the true forgotten classic from this album, featuring multiple sections with nice sonic dynamics and vocal inflections, an overall good arrangement with rock instrumentation and great rock drumming throughout by Matt Laug. “You Learn” may be the most pop accessible track on Jagged Little Pill as well as the quasi-title track and philosophical heart of the album. Musically, it features a smooth rock/jazz arrangement by Ballard while lyrically the song speaks of the important life lessons. 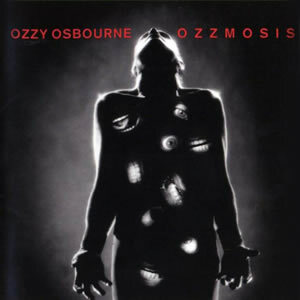 Starting as pleasant, quiet acoustic ballad but exploding into a melodic rock screed during the choruses, “Ironic” was an extremely popular song and video. The song reached the Top 10 in several national charts and is Morissette’s highest charting song to date in the United States, where it topped out at #4. As the album winds down, it does repeat over well-tread grounds lyrically, vocally, and musically, especially on “Not the Doctor” and with “Wake Up” just slightly better than previous track due to its smooth musical approach. A hidden track deemed “Your House” is fascinating as an outtake of beautifully haunting a-capella vocals, which is actually an apt way to close in the spirit of this album. As of 2016, Jagged Little Pill has gone on to sell over 33 million copies worldwide along with winning a total of 5 Grammy Awards. Following its initial success, Morissette launched an 18-month worldwide tour before taking a long break from music, which may have halted her chances of repeating its massive success. No Doubt offered an upbeat breath of fresh air to the mid nineties with their dynamic masterpiece, Tragic Kingdom. 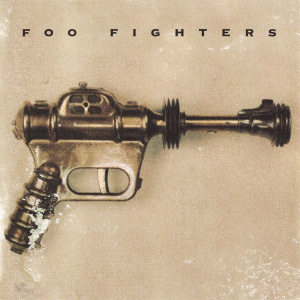 This third overall studio album by the California-based rock band found tremendous commercial and chart success and sustained seven singles over the period between late 1995 and early 1998. Led by the dynamic vocals of Gwen Stefani, the group composed songs blending a diverse array of musical genres including blues, rock, ska, reggae, grunge, new wave and punk. The group was formed in 1986 by keyboardist Eric Stefani, with his sister Gwen occasionally joining in on backing vocals when they practiced in their parents’ garage. Bassist Tony Kanal later joined after catching one of the band’s early shows and began a (initially) secret relationship with Gwen. In early 1988, guitarist Tom Dumont and drummer Adrian Young joined No Doubt, rounding out the band’s long-standing lineup. Impressed by the group’s rabid live following, No Doubt was signed to a multi-album deal by Interscope Records in 1990. 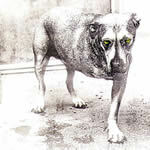 However, the group’s initial two releases, their 1992 self-titled debut and the self-produced The Beacon Street Collection failed to gain widespread success. Producer Matthew Wilder was brought on board to produce Tragic Kingdom. The album included recordings made over a two and a half year period between March 1993 and October 1995, with recordings made in nearly dozen studios in and around Los Angeles. This album would also be the last to feature Eric Stefani, who was the primary composer of the material on the first two albums. After Eric officially left the band in 1994, most of the other group members stepped up to co-write the new material. “Happy Now?” is a more vocal and lyric driven track with strong guitar riffing and chords. This is one of several tracks which lyrically deal with Gwen Stefani’s recent breakup with Kanal, after a seven year relationship. “Different People” features strong rudiments and a great animated bass line, while “Hey You!” has a unique and excellent arrangement with a heavy sixties vibe brought on by the overt sitar and harpsichord as well as the more subtle structuring of the rock groove. “The Climb” is a dramatic blues song written by Eric Stefani and it features cool penny-whistle organ parts under the verses with several guitar textures by Dumont. The song goes through several trans-formative sections and a long ending dissolve where each musician gets to add bits of embellishment in turn. Following the standard ska of “Sixteen”, a drum shuffle fades in along with a driven bass which makes it closer to pure reggae with heavy rock guitars and dynamic, dramatic vocals. The album’s first and only ballad, “Don’t Speak”, offers one its most indelible moments. The song starts with Eric Stefani’s slow, rocking electric piano in verses but breaks into jazzy acoustic choruses complete with a later excellent flamenco acoustic lead by Dumont. Slight use of strings and brass are just enough to bring out the emotions without getting overly sappy, shining the spotlight on Gwen Stefani’s vocals, which are best at their very best on this album. The song would go on to become the breakthrough single. received tremendous airplay, and helped elevate the album as well as previously released singles. It would also go on to be nominated for Song of the Year at the 1998 Grammy Awards. Coming down the stretch, Tragic Kingdom features more entertaining tracks such as “You Can Do It”, which is funky, seventies style soul with heavy brass, disco strings, wah-wah guitar and rounded bass patterns. “World Go ‘Round” returns to the upbeat reggae with horns and Hammond organ and plenty of brass, while the closing title song is a strong and steady, guitar and vocal driven rocker which is set up like a theatrical mini-suite complete with horn sections and a rapid fingerboard guitar lead. The best of this lot is “End It on This” (which should have been the album closer). This last, great song on the album has a definitive new wave feel with rapid guitar riffs and bass notes accented by melodic piano patterns. The choruses feature especially potent keyboards and bass which work together to give a feel of rapid melodic motion. The song then steadies into a traditional guitar lead section before an intense and fantastic outro section. 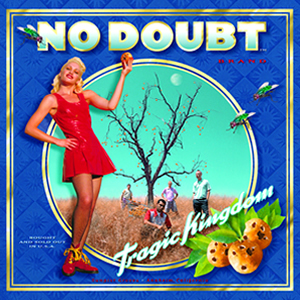 Following Tragic Kingdom‘s release and success, No Doubt embarked on a an extensive tour which lasted about two and a half years. A 1997 performance from this tour was recorded in the group’s home city of Anaheim and released as a Live in the Tragic Kingdom DVD. The band would not follow-up with another studio album until Return of Saturn was released in 2000, a half decade after Tragic Kingdom. Part of Classic Rock Review’s celebration of the 20th anniversary of 1995 albums.